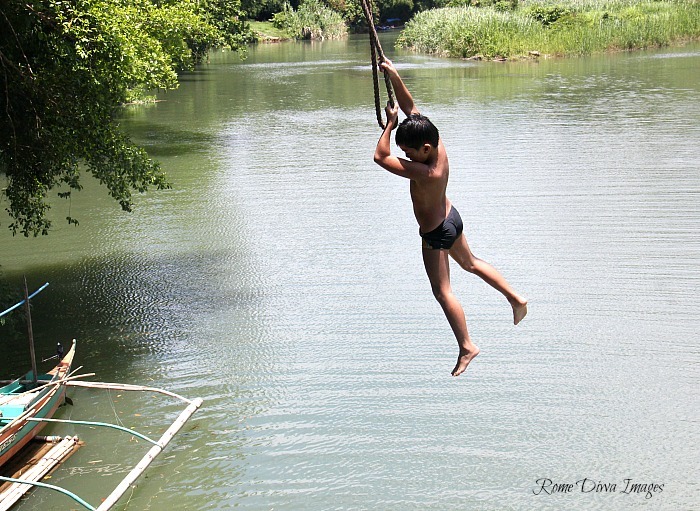 This is the astonishing moment when my adventurous niece, Sophia, attempted to jump into Maoyon River - and survived, lol! With the weather proving unseasonally warm over the last week, I'd love to dedicate this post to encourage you guys to domestic holidays and rediscover the glee of traveling in a river near you to take the plunge. Put away glitz, glamour and gadgets. Let’s go! Heights are not really my thing, although I'd always dreamt of flying like a bird, free from anything. 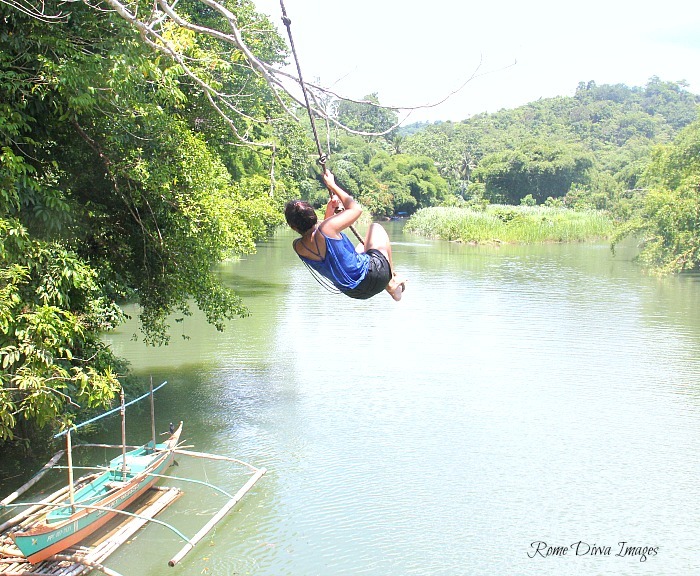 With my little persuasion and her desire for thrill, my adrenaline junkie niece, Sophia, decided to take the plunge into Maoyon River after numerous peek few feet from the bar of Love and Peace Resort. It brought excitement and ecstatic scream when her mom, Ate Cherry, agreed when she asked for permission. Sophia was first in our group to jump. After settling into free-fall position, she flew like Tinkerbell and propelled up into the heavens suspended in air. My heart skipped a beat when I took the shoot. With her eyes closed, she let go of the rope and took a leap of faith into the river. Tensions are high after she jumped and plummeted into the river until her wide-faced smile surfaced above the water yelling "Oh my God, I did it!". "It wasn't easy at first, but the experience of being suspended above anything was another rewarding thrill-seeking adventure", she said. Moments later, her brother Kristian, followed. And they do it over and over again. Kids, they are the ones who never fear from taking risk because fear is the key of failure. May this blog post remind me to be braver and never lose my kid-at-heart spirit to slowly take the plunge of blogging again. To slowly get back on track, to tell you many tales of adventures or misadventures to places I've been 5 years ago (yes, 5 years of backlog) This is to remind me to somersault 5 summers, 122 places, 548 people and countless experiences.